Contact us today to book your seminar registration! Many of our clients qualify for State and/or US Federal funding for training. This reimburses costs associated with consulting and registration. Please contact us for more information. Expert Resource offers two half-day seminars, one in the morning and one in the afternoon, which culminate in a multi-faceted MedAccred introduction. Our morning session covers general MedAccred topics, introducing the basics of MedAccred standards, the roadmap to MedAccred certification, and navigation of MedAccred's eAuditnet portal. Our afternoon session addresses MedAccred Root Cause and Corrective Action (RCCA) training in 8D Format. MedAccred's RCCA's are much more detailed than ISO standard CA's and lack of training in this area is the most common contributor to Nadcap and MedAccred audit failure. Our training prepares you for responding to MedAccred NCR's in a format that is widely required by many OEM's. Trainees are encouraged to attend both sessions to maximize their knowledge base, however sessions are purchased individually. There are no pre-requisites to attend either session. Each seminar is designed for beginners and for those mid-way through implementation, but can also be helpful as refresher courses for experienced professionals. This session includes a PowerPoint presentation with color printed materials provided free of charge. Materials case studies & lessons learned from previous ER clients. This session includes a PowerPoint presentation with color printed materials provided free of charge. Materials include examples of Nadcap Corrective Action responses, case studies & lessons learned from previous ER clients, and a work instruction outlining all 19 RCCA steps which can be adapted to your company. We host these seminars in our Huntington Beach, CA, USA office for groups of 5 to 10 Medical industry professionals. Contact us for dates. We can also bring this content to your location for groups of up to 20. For more information, contact us at +1-714-337-3321 or click here to send an email. Funding: Many of our clients qualify for State and/or US Federal funding for training services. This reimburses costs associated with training and registration. Please contact us for more information. 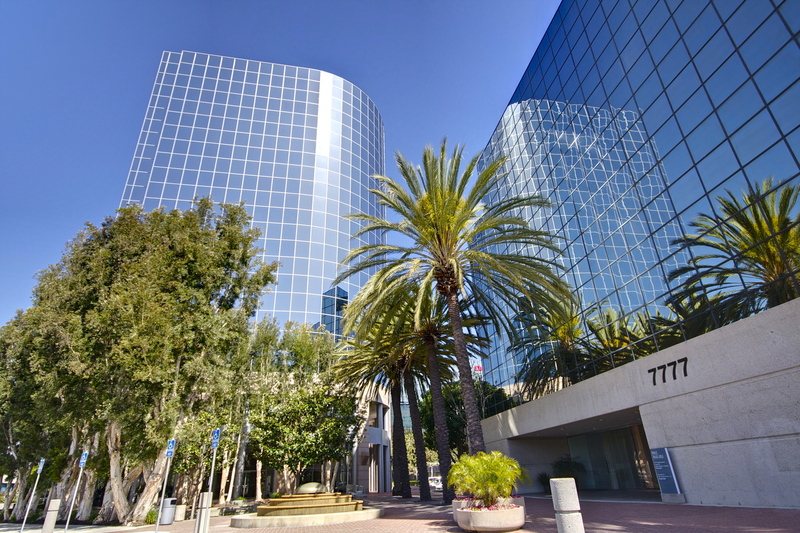 Located in beautiful Southern California, USA, our Huntington Beach office is an ideal place to attend a seminar. Our training suite overlooks Orange County and comes fully stocked with amenities to deliver a comfortable environment where focus and learning can flourish. We are conveniently within walking distance of The Hotel Huntington Beach, shopping, nightlife and many popular restaurants. We are only a short drive away from world-famous attractions like Disneyland or the beaches of Surf City USA, you can turn your seminar experience into a destination get-away. If you are not familiar with the area and would like some guidance from our local representatives on lodging or restaurants, please contact us. MedAccred is based on Nadcap, the leading worldwide cooperative program of major companies designed to manage a cost-effective consensus approach to special processes & products manufacturing and testing specifications and provide continuous improvement within the aerospace and defense industries. Only MedAccred takes these principals and applies them to the medical device industry. MedAccred process and product certification is provided by Performance Review Institute. PRI is the only auditing company approved by the medical device industry to offer official certification audits. Expert Resource provides the consulting and training to prepare your company for successful MedAccred certifications with PRI. 100% of our clients pass their first attempt at certification! ER offers a training course, one for each of the MedAccred Special Processes, tailored to that special process audit criteria. These classes are provided on-site tailored to your exact needs to prepare your company and employees to implement and pass the rigorous MedAccred audit. Click here to learn more. Expert Resource is the leading provider of MedAccred and Nadcap consulting services. 100% of our clients (hundreds) pass their first attempt at certification with PRI. Most of our consultants are spread throughout the United States, England, and China, but we have also helped companies in over 10 other countries. Headquartered in California, we will go anywhere to help you. Our clients are very diversified in size, location, and special process expertise. We have met the needs of the largest OEM's and very small job shops alike. Our prices are highly competitive and our consultants are very personable. We specialize in every area of MedAccred and we guarantee our work. MedAccred consultants must be (1) technical experts in their fields (ex: Welding, Plastics, Heat Treating, Sterilization, etc.) and (2) experienced experts with the MedAccred requirements, many of which are still developing. Most of our competitors are ISO 9000 consultants with some vague understanding of Nadcap or MedAccred and very little experience in those specific fields. Be careful not to use someone who claims to be able to simply "interpret any standard". MedAccred requirements are very technical and your consultant should be a technical expert with decades of experience. The majority of our MedAccred consultants are Nadcap Lead Auditors, which means they are the authorities. They work part-time for PRI (the MedAccred and Nadcap audit certification company) and part-time for Expert Resource. They are trained by PRI (the authority approved by all the OEM's and Primes) and have hundreds of audits in their repertoire. Be sure you are relying on the best because they will utimately affect not only your certification success but more importantly they will be modifying how your company operates. It is critical. Don't leave your company in the hands of a novice. Our previous history with Nadcap and MedAccred audits (with clients of various sizes with various special processes) resulted in 2 or less minor findings per audit, some of which were flawless audits. Does your MedAccred consultant have a proven success record? There are various MedAccred quality standards for different products, manufacturing processes and services. Please click on any of the standards listed below for a more detailed listing. To view the entire MedAccred Audit Checklist Listing, please Click Here. David Johnson is the founder of Expert Resource (ER). As the CCO, he manages all ER consultants and strategizes all ER client projects. He directs all activities related to consulting, sales, marketing, and customer relationships. David also provides on-site consulting and training for multiple initiatives and has been a key expert witness in litigation cases. He is considered a thought leader in Business Excellence with a focus on process, employee, and systems integration.